A case was brought against an eBay seller in the UK who was peddling counterfeit fly lines under the Rio brand. "The investigation began after a complaint was received from Chris Hartley, a director of Guide Flyfishing Ltd of Sherburn in Elmet, which holds the sole UK rights to sell Rio line. 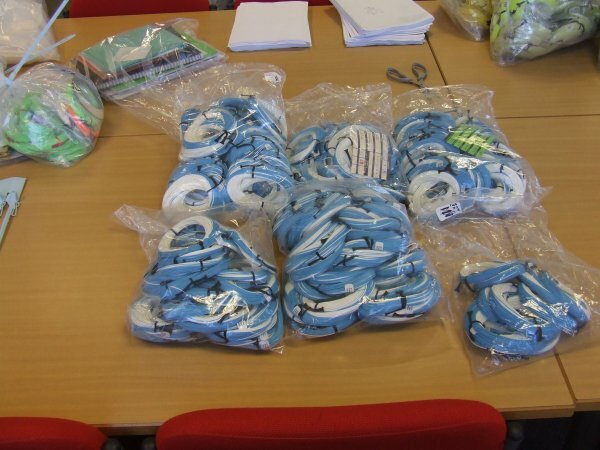 Test purchases of fly line by a trading standards officer and a number of fly fishing line companies around the UK established that Bailey was selling fake lines under the brand names Rio, Snowbee, Greys, Hardy and Loop. Inquiries showed he had a turnover in excess of £156,000 through his eBay accounts ‘Telewatcher’, ‘the line man’ and ‘Hardyclassics’. When trading standards officers executed a warrant at Bailey’s home address they seized more than 5,000 lines." If it looks to good to be true it probably is. The offenders were sentenced to between seven and eighteen months in jail with a fine. Read the entire story here.